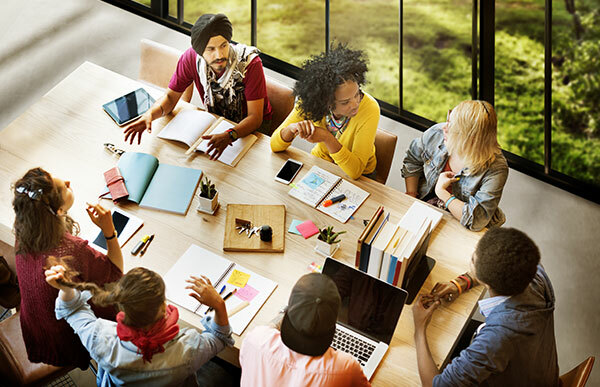 Diversity and inclusion is currently an area of particular interest for businesses in the UK, with many focusing their recruitment efforts on establishing more diverse and inclusive teams. There is much discussion on the benefits of such a strategy, though it has been suggested by McKinsey that organisations with a diverse and inclusive workforce are more likely to attract top talent, have a stronger customer orientation, higher employee satisfaction and improved decision making. While building an inclusive team can often present a real challenge for hiring managers during the recruitment process, the benefits of successfully developing a diverse culture undoubtedly outweigh the potential difficulties. Elizabeth Woodforde from Michael Page Marketing explores these benefits and the recruitment biases which can hinder the development of an inclusive workforce. We are increasingly being asked what is it we do to ensure that we have an inclusive team. Our own personal biases are one of the most significant issues we face as individuals, which if unrecognised can impact on the decisions we make. When selecting candidates to present to clients or fill internal positions, it is important for us to assess these biases in order to overcome them. This ensures we offer a diverse and inclusive service. I have been working in the recruitment industry for over 15 years and I am delighted to say that it has changed beyond all recognition both internally at Michael Page and externally with my clients and candidates. Nonetheless, there are aspects of the recruitment process where biases, unconscious or otherwise, can still have influence over decision making. As recruiters, we are aware of the potential implications this can have and is quite often something we discuss with clients as to how it impacts their hiring decisions. Recruiting new employees can be stressful, particularly if you are replacing a departing team member. In some instances, it may feel easier to simply hire a clone rather than taking the time to consider the diversity within your team and the potential benefits of a more diverse and inclusive staff base. I have come across clients who have considered diversity and inclusion to be a trend, without consideration of the positive effect it can have. It has been found that having an inclusive culture allows people to flourish in their jobs and in the long-term creates a more productive team. McKinsey released an article which revealed that gender-diverse companies are 15% more likely to have financial returns above their national industry average and ethnically-diverse companies are 35% more likely. In the UK specifically, it was found that greater gender diversity resulted in higher performance; EBIT rises by 3.5% with every 10% increase in diversity. In the past, I have fallen into the trap of considering fit to be just as important as skills and key competencies when recruiting for my team. My personal affinity to potential consultants has previously formed a large basis of my decisions to progress a candidate and we often hear this from our clients too. I have learnt that only considering people I believe to be very similar or an early variation of myself, will be a barrier to the long-term productivity of my team. Having too many similar personalities can result in a team which lacks innovative thinking and never challenges the status quo. This will lead to stagnation and ultimately restricts progress within the business, particularly in a dynamic industry like recruitment that has experienced significant change in recent years. One of the key things I would typically look for when recruiting internally into my team was a degree educated applicant, however, I have since realised that this does not determine an individual’s capability to be a strong candidate. It doesn’t define a person’s work ethic, ability to build relationships, resilience or adaptability, all characteristics that are particularly important to be successful in our job. I now focus on key responsibilities that are supported by results and achievements, from here it’s all about having the face-to-face meeting and exploring this potential further. This ensures that we hire consultants with a diverse range of backgrounds which may include sport, marketing, education or hospitality. Competency-based interviews have proven to be an especially useful tool throughout the recruitment process to help prevent unconscious bias. This interview format assesses a candidate based on their specific experience and whether or not they meet other essential requirements to excel in a position. Additionally, the more emotional cues that standard interview techniques can uncover during an assessment of a candidate’s skill set are minimised. From an external recruitment standpoint, when sourcing talent for clients, receiving a brief in which fit is described as a determining factor for a candidate is one of the biggest challenges we face. This is particularly true for marketing recruiters as in many cases managers are simply looking for a junior version of themselves. Team fit is divisive and subjective, of course, each business has a unique working culture and values, but fit does not encourage new ideas or challenge standard ways of thinking and therefore hampers progress. Proactive steps should be taken towards building a more diverse and inclusive organisational culture. As a global brand, PageGroup employs talented individuals of different nationalities, professional backgrounds, cultures, genders and ages which leads to fresh insight, innovative ideas and dynamic working environments. At Michael Page Marketing we receive regular training on how to overcome any biases and ensure that we represent candidates who possess the brand, marketing or media relations skills for a position irrespective of their background, age or culture. In addition to this, our database monitors equal opportunities and flags areas where there may be an imbalance so that we can actively attract candidates from more diverse backgrounds. We take the time to speak with and meet as many of our candidates as possible to ensure our clients are not only getting the most talented professionals available but also the most inclusive shortlist. If you would like to discuss how we can help you develop a more inclusive team or for any further information, please do get in touch. Call your local office or submit a job spec and one of our expert consultants will contact you.